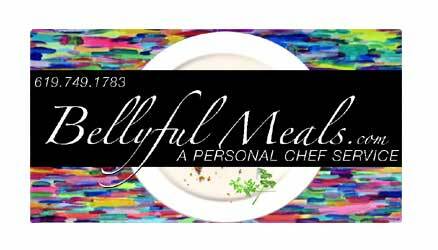 *Personal Chef Service "A Weeks Worth of Meals"
From the comfort of your kitchen I'll prepare a personalized in-home meal service, up to 5 different entrees per week all cooked on one day. 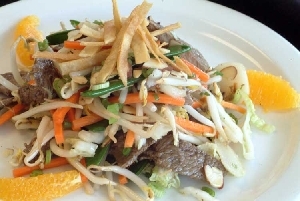 I will customize a menu for you each week based on your personal tastes, shop for groceries, come to your home kitchen to prepare meals, and package dishes in the refrigerator and freezer for your later enjoyment. Don't worry about having the right pots and pans, I bring everything I need! Results from your "Client Questionnaire" will help me to tailor a menu to your likes and dislikes, as well as accommodating dietary restrictions and other specialty needs. I work with every client to fit any size family and eating style. 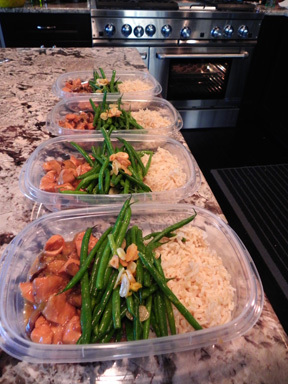 The meals can be packaged individually for portion control, packaged family style, or a combination of both. There are many types of plans from a one-time visit to a monthly/weekly schedule. Visit the "Pricing of Services" page to see what type of plan will fit your family best. Feel free to call or email with any questions. When you decide to try a meal service, fill out a "Client Questionnaire" online and contact me. I will have an email or phone consultation with you to go over the client questionnaire, any questions and customize your menu. I will email you a confirmation of the menu prior to the cooking day, I can design the menu each service, or you can tell me exactly what you want. 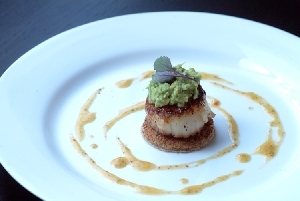 Client approval of the menu and schedule will be a confirmation of service. On the day of cooking, I will shop for your ingredients (or sometimes the day before), and go to your home kitchen to prepare the meals for storage. Payment is expected, by Cash, Check, Venmo, or Zelle, on the day of service. I often shop at several stores to find you the freshest ingredients to produce the best tasting dishes. This includes 5 separate main dishes, 4 servings of each, a total of 20 meals. There are two options; Protein/Starch/Veggie, or Soup/Salad, with the option to mix and match. Meals can be eaten for breakfast, lunch and dinner. I will customize your menu to you and your families' needs and specifications, or you can tell me exactly what you want. Vegetarian, Vegan and other dietary restrictive options available, and different size plans. Organic is available upon request. Customized menu planning, grocery shopping, meal preparation, package and labeling, heating directions, kitchen cleanup, and trash removal. This price does not include groceries; clients will reimburse the chef for amount equal to the grocery bill. 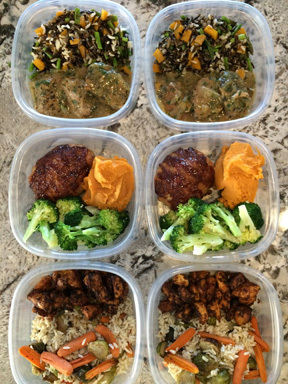 A Personal Chef prepares several meals on one day, for storage in the refrigerator/freezer, ready for a quick heat for breakfast/lunch and/or dinner throughout the week. 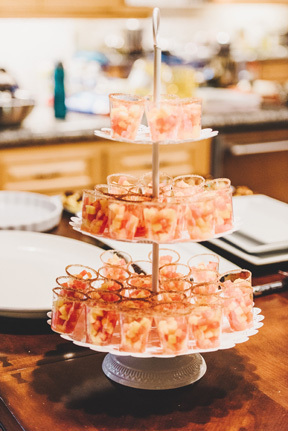 A Private Chef comes to your home kitchen to prepare a special dinner and service on one evening, or creates a party spread for you and your guests in your home. A private chef may also work for one family on a daily basis, preparing and serving food for several meals. 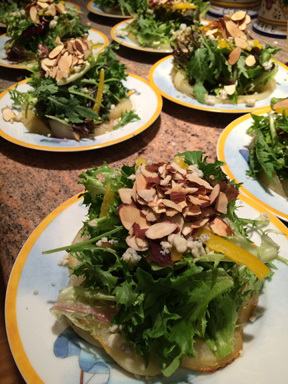 If you're interested in having a Private Chef, visit the "Dinner Party/Private Chef" page for more information and pricing. If you're looking for a daily Private chef I might also be able to recommend some other chefs to you who specialize in this service.